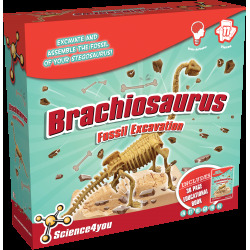 Make a fantastic Brachiosaurus fossil in gypsum! 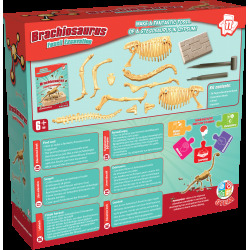 Excavate and assemble the fossil of your Brachiosaurus! You will learn about archeology and dinosaurs with it. How to make a fantastic dinosaur fossil in gypsum. 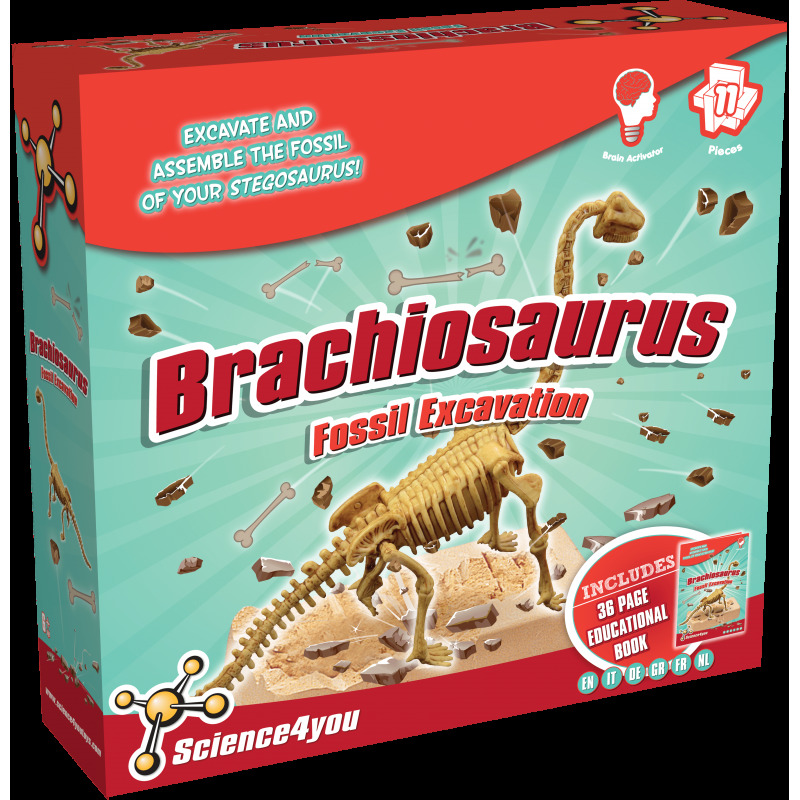 The best techniques to excavate your Brachiosaurus just like a real archaeologist. How to assemble an extraordinary dinosaur with the fossils you have excavated. What caused the dinosaur extinction. 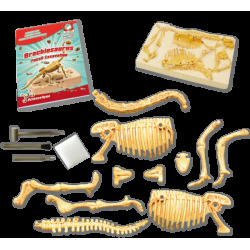 This toy include 11 pieces as well as an educational book with 36 pages.